The landscape for performing arts is in rapid change. Anyone trying to self-produce theatre or partner with established theatre companies quickly find out that they need to know a bit about the infrastructure of management/artists agreements, funding models, and so on. 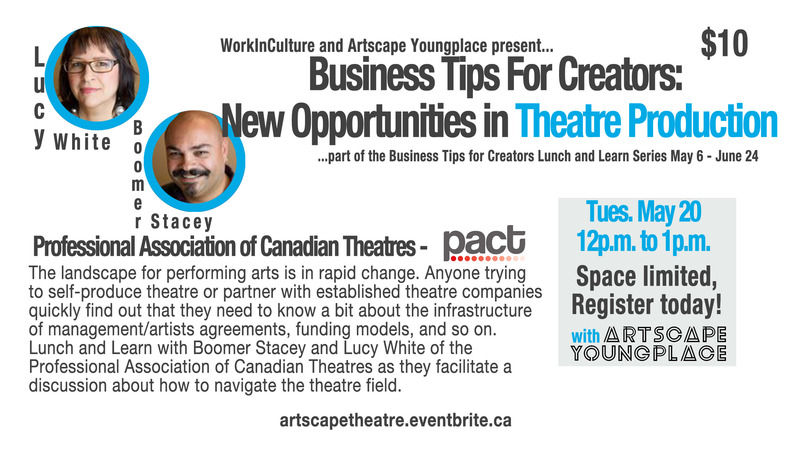 Lunch and Learn with Boomer Stacey and Lucy White of the Professional Association of Canadian Theatres as they facilitate a discussion about how to navigate the theatre field.